Hashtags are used to categorise messages by searchable keywords, but overuse can just as easily push people away. It’s as simple as placing a # directly before a word anywhere within a post, with no space between the symbol and the word. Users then search for hashtags to bring up every post that contains it. Using just one or two simple words or short phrases that directly correspond with the topic of your post is the best way to hashtag. There’s no need to tag generic words, as people search for hashtags specifically. Too many hashtags in a single post is hard to read and users will scroll straight past. For example, posts about a football team will often have the team’s name hashtagged or may close with #football. 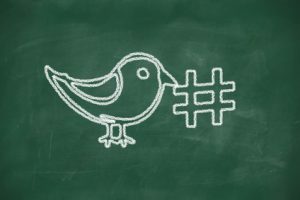 #Hashtagging has become a social media second-nature, but used correctly it could drive traffic your way with minimal effort. This entry was posted in Social Media, Tips and tagged Hashtag, Hashtags, Hint, Hints, How to use Hashtags Effectively, Media, Social, Social Media, Tip, Tips, Twitter on October 21, 2013 by Pinnacle. Great post, you see a lot of people basically stuffing their tweets with hashtags. Hashtags can be great for discovering and organizing information, never overuse hashtags. I would never consider using more than one or two in any given update. And if you think a particular item is relevant with multiple hashtags ensure you space them out. Hi Matthew, we agree that Hashtag stuffing doesn’t help…and also that one or two is the maximum per Tweet. Plus, it’s important not to stuff all of your Tweets with hashtags – it’s better to have some variety.